Madrid: Two games without a goal is run of the mill for most footballers, but for Cristiano Ronaldo it constitutes a drought. Ronaldo will be looking to forget his early season struggles as Real Madrid aim to lay down a marker in their quest for a third consecutive Champions League at Borussia Dortmund on Tuesday. The Portuguese remains the strong favourite to match Lionel Messi's record of five Ballon d'Or wins for his starring role in guiding Madrid to a first La Liga and Champions League double in 59 years. However, Messi's sensational form for Barcelona and the attention garnered by Neymar's €222 million ($265 million) world record move to Paris Saint-Germain in August has starved Ronaldo of the attention he craves. All three were named as the finalists for FIFA's Men's Player Award for 2017 last week. 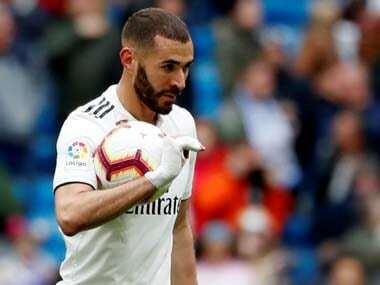 It is Ronaldo, though, who has so far failed to hit his stratospherically high standards this season as Real have fallen seven points behind Barca in the La Liga title race. A five-game suspension for pushing a referee after being sent-off in the first leg of the Spanish Super Cup has been the principle cause. Ronaldo described the ban as "persecution" on the part of the Spanish federation. 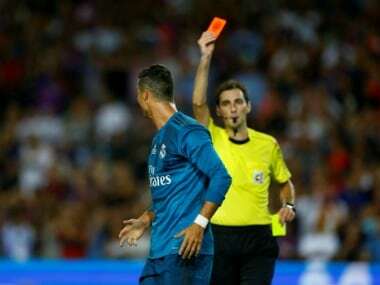 But the punishment didn't end with the ban as a rusty Ronaldo misfired badly as Real's run of scoring in 73 straight games ended in a shock 1-0 defeat to Real Betis last week. Ronaldo also fired a blank as Madrid edged past bottom of the table Alaves on Saturday despite having 18 shots across his last two games. "Cristiano is like he always is. 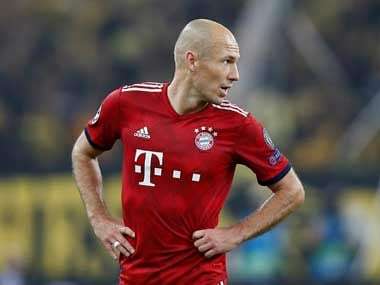 When he doesn't score you ask me about him, but he is calm," insisted Real boss Zinedine Zidane. "He wanted to score which is normal, but it's a long season and he always ends up making the difference." It would take something extraordinary to deny Ronaldo the Ballon d'Or after scoring 10 times from the Champions League quarter-finals on against a calibre of opposition such as Bayern Munich, Atletico Madrid and Juventus. Yet, Messi's reaction to Neymar's decision to forge pastures new at PSG has been a telling demonstration of who is really the irreplaceable figure at the Camp Nou. 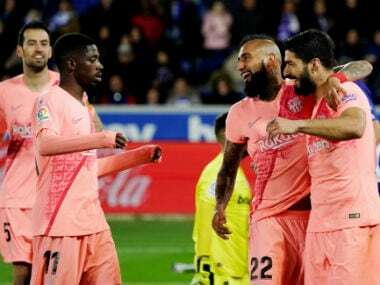 Messi has helped guide Barca to six wins from six in La Liga and a 3-0 thumping of Juventus in the Champions League scoring 12 goals in nine appearances in all competitions. Indeed, at club level Messi now has 43 goals in 2017 to Ronaldo's 29. Neymar's numbers are far more modest despite five goals in six games for PSG as he has adapted well to his new surroundings and new stature as the world's most expensive player. One of the Brazilian's motives for leaving the lure of Messi and Barcelona behind was reportedly his desire to win the Ballon d'Or. But at 25 his time is more likely to come in future years if Messi (30) and Ronaldo (32) begin to wane. Neymar will need to live up to the hype of his record price tag not just in Ligue 1 but at Champions League level to be crowned the world's best and the visit of Bayern Munich to the Parc des Princes on Wednesday is his greatest opportunity to make an impact before January's award ceremonies. Yet, despite the individual nature of the award, it is trophies that tend to tilt the balance of the Ballon d'Or and having beaten his competitors to La Liga and the Champions League, Ronaldo remains the man to beat.